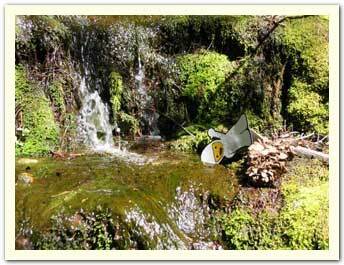 Bumperboy goes hiking! Taken at the top of Nevada Falls. July 2004. 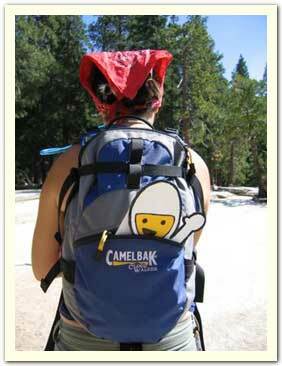 Photo taken by Christine C.
At Liberty Cap and Nevada Falls. 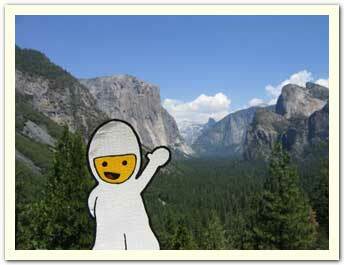 Bumperboy at tunnel view - El Capitan, Half Dome, etc etc. you know...that famous Yosemite shot. Whoops. 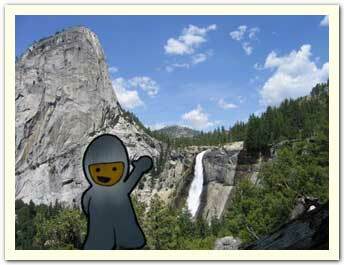 Bumperboy gets a bit wet in a stream near the top of Nevada Falls.